This book is a great choice for Christian spiritual directors for a directee who would like to work through a book with them. It has a good chapter near the end on spiritual direction (which directees might want to read first). 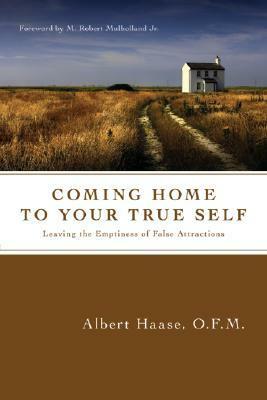 The book as a whole serves as a good outline for a spiritual journey that is focused on becoming your "true self" (the person God made you to be) and leaving the "false self", with its attachments to things that separate us from God and stunt our spiritual growth, behind. I particularly liked the chapter 5 introduction to contemplative prayer ("how prayer makes us prayerful") which redirects the activity of prayer from something we must do, accomplish, get done to a means of holding ourselves more consciously in God's presence throughout our day. The chapters on penance (as a means of preserving relationships) and discernment are very helpful also. The last chapter on the "ongoing work of the Spirit" presents the traditional pattern of human development and spiritual growth (awakening, purgation, illumination, dark night, and union) in a very practical and helpful way. He points out that each person's journey is unique, God isn't bound by and particular road map, God will not trump his gift of free will to us, and that spiritual growth is more cyclical (or spiraled) than a linear progression. Each chapter ends with several good reflection questions. The book also has some appendices with helpful information on designing a "rule of life" and finding a spiritual director. There is also an appendix which collects most of the charts and lists that are placed through out the book as a helpful aid to memory for the author's most important points. One thought that seems to run through the whole book is that there is really "nothing more to get" in life other than what our experience of God's life provides. That life does not consist in the regrets and losses of our past or in our hopes and fears for the future. It it most profoundly experienced in the "here and now". Without that there is no healing for our past or confidence for our future. Sign into Goodreads to see if any of your friends have read Coming Home to Your True Self.